Pavel Mikhailovich Tretyakov and Anton Gri-gorievich Rubinstein shared a selfless devotion to art. Tretyakov was a great collector and the founder of the largest museum of Russian painting, Rubinstein a great composer and virtuoso pianist and conductor. Their paths crossed early in their lives, and their respect for one another only grew over the years. 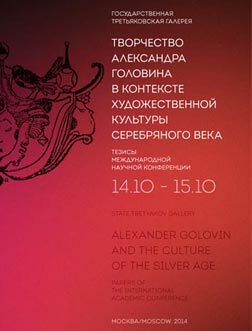 America in the eyes of the artists, actors and musicians of the Silver Age of Russian culture was an enigmatic and fabulously rich country – a country to go to on a tour or to earn money. Only a handful of such artists gradually came to view the New World as not just a source of income but also as a special cultural hub with distinct traditions and roots. One such person was Léon Bakst, the Russian artist of international renown who spent the second half of his life in France. The names of Yelena Dmitrievna Polenova and Maria Vasilievna Yakunchikova-Weber are closely connected in the history of Russian art, and are linked to the origin and rise of the modernist style. A search for new experience brought the two women artists together. Their companionship, reflected in their correspondence, helped each to develop as an artist and was mutually enriching. Their letters show how this bonding gradually grew in importance. Reserved by nature, Yelena expressed her concern pithily: “It has been long since I last heard from Masha – I wrote to her already several times and received only one letter in reply”. Maria wrote: “I feel you intimately, and deeply and humbly hope to hear from you sometime”. 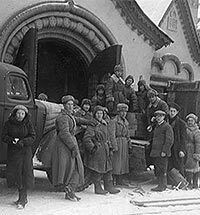 America in the eyes of the artists, actors and musicians of the Silver Age of Russian culture was an enigmatic and fabulously rich country – a country to go to on a tour or to earn money. Only a handful of such artists gradually came to view the New World as not just a source of income but also as a special cultural hub with distinct traditions and roots. One such was Léon Bakst, the Russian artist of international renown who spent the second half of his life in France. Leon Bakst hoped that his art would bring more harmony and joy into life. Wishing to make mankind happy and day-dreaming about antiquity and the Orient, what did he really have to offer? Something of a dandy and naive like a child, the artist often made his friends smile. Yet he would succeed in making life shinier and brighter, in bringing beauty closer to everyday life. Bakst was the first Russian artist to win worldwide recognition as a designer. Léon Bakst is the greatest theatre designer, a fine painter and a superb master of drawing, particularly of line drawing. This line – curved, tense, emotional and at the same time prodigiously harmonious – became a signature feature not only of Bakst’s art, but of the whole “Moderne” style as well, one that cannot be imagined without Bakst. What do we know about his life?